Canberra City Uniting Church was honoured for their environmental focus on Sunday with the presentation of a Five Leaf Eco-Award in the category of Eco-Worship. The Five Leaf Eco-Awards are an ecumenical environmental change program targeting religious institutions, a part of the community that has been largely overlooked by the greater environmental movement. The awards are based on the creation care concept, which treats care for the environment as a basic tenant of religious faith. Armed with this message, the Five Leaf Eco-Awards assist churches in fulfilling set goals related to sustainability and community awareness of environmental issues. 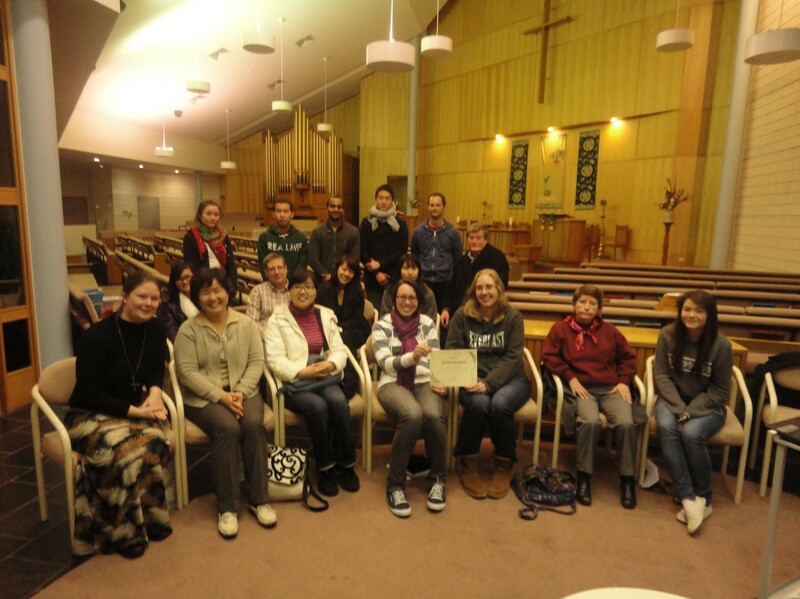 Canberra City Uniting Church are the sixth church in Australia, and the first in the ACT, to receive this prestigious award.. The award was presented during the congregation’s City at Night service in order to to acknowledge the particular dedication of this congregation to caring for the environment. This has included participation in a range of working bees that conducted weeding and established an environmental resource room at the Greenhills Centre on Cotter Road and holding discussions on issues around ecological footprints, greening the church and responses to the disappointment felt by many after the perceived failure of the Copenhagen climate change summit last year. Some members of this congregation are also part of the church’s newly established student house, which was recently energy audited to help its residents live as sustainably as possible. Rev. Myung Hwa Park accepted the award on behalf of the church. Rev. Park, who trained in eco-theology while living in Ireland and was one of the driving forces behind the campaign for the award, was very proud to see the church recognised. “Receiving this award makes us feel even more committed to caring for the environmnet, which I see as a crucial responsibility for modern Christians,” Rev. Park said. She is already working on what they can do next, with a Cupcake Day event to raise money for the RSPCA being planned for a City at Night service later this year. Five Leaf Eco-Awards Director and Canberra resident Jessica Morthorpe, who was there to personally present the award, said she was hopeful that Rev. 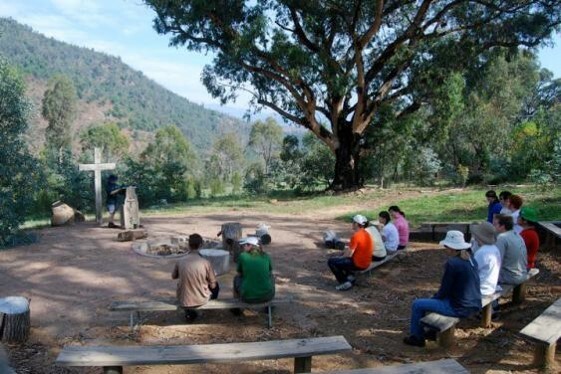 Park and the Canberra City Uniting congregations would inspire other local churches to get involved in the program. Ms. Morthorpe said, “The word is slowly getting out, currently we have 15 churches nationwide involved in the program, as well as many more who have expressed their interest.